Portugal's variety is one of its greatest assets. Along with its calendar full of colourful festivals and unique culture. In a single day you can travel from verdant mountains in the north, to the vineyards on the slopes, through the rocky centre to the rustic rural pleasures of the Alentejo region and on to the glamorous golden sands of the Algarve and the coast. Variety is also a great asset when it comes to the question of where to stay, and the best places to stay in Portugal can be found dotted all over the county. Lisbon is a vibrant capital city abounding with charm and colour, and filled with the music of Fado and the characteristic rattling of yellow trams as they trundle past decorative tiled façades. Most of us know Porto, and the whole Douro Valley for its port, which begins its life in the vineyards surrounding the city, the grapes growing plump on the water of the Douro. Port is also an ancient and historic port, graced with spectacular architecture a large number of museums and gorgeous Baroque churches. And the Ribeira district, with its winding cobbled streets, steep staircases and orange roofed buildings, is heritage listed. In addition to all the port houses there are also colourful food markets to explore - so plenty to appeal to foodies - though the favourite local dish is tripe. Many turn to Portugal for sunshine and cloudless blue skies, in which case you're here for the Algarve! As well as mile upon mile of golden sand framed by characteristic limestone rocks standing guard dramatically over turquoise waters, the Algarve is also rich in bird life, golf courses and surf breaks. While the resorts around Faro and the airport are well developed, the Western Algarve is still a beautiful semi-wilderness. 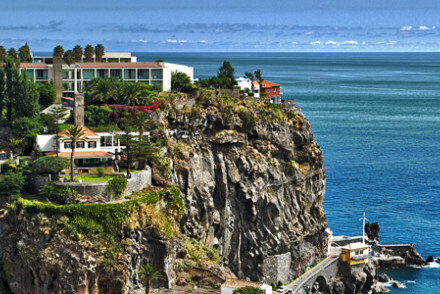 Madeira is another year round warm and sunny destination, AND of course it tempts with its Madeira cake and wine too. While Alentejo offers more dramatic, rural scenery, and a wonderfully relaxed pace of life in amongst vineyards, white towns and megalithic monuments. Alentejo covers almost a third of Portugal, from the Atlantic coast to the Spanish border and the Algarve, but it has only about seven percent of the population. And its charming old white towns, where nothing has changed for decades, are sparsely dotted amongst olive groves and cork forests. Alentejo's beaches are beautiful and on a road trip along white cliffs and virginal coasts you'll feel like you're the only people in the world. The Heritage Av Liberdade, situated on one of Lisbon's most famous streets, is an award winning hotel - the brain child of architect Câncio Martins, renowned for the Buddha Bar in Paris and Strictly Hush in London. The only Art Deco hotel in Lisbon, the Hotel Britania has been beautifully restored and retains many period features. Bedrooms are large and a library and intimate bar on the ground floor give the place a distinctly private club feel. 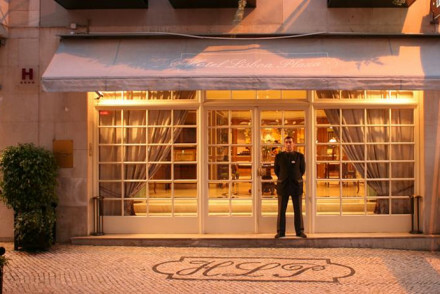 The Hotel Lisboa Plaza offers traditional, old world charm coupled with very personalised service. The bar and fabulous terrace emphasise the relaxed ambience. With a long list of devotees who wouldn't dream of staying anywhere else, you might want to book well ahead! Book a room at the Solar do Castelo and you'll have bagged the only accommodation within the walls of the Castle of Saint George, which rises out of the beautiful labyrinth of the old Moorish quarter. This unique hotel manages to effortlessly blend the old and new, with exposed stone walls complemented by new pale wood and rich fabrics. 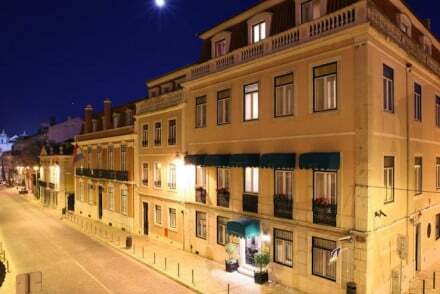 Some of Porto's port houses offer accommodations too, one of the best examples being The Yeatman by well known Port brand, Taylors. Rising above the port houses to offer views of the Douro Valley, this is a lavish place to stay, with a fantastic spa, infinity pool and plenty of marble. But still awash with character. 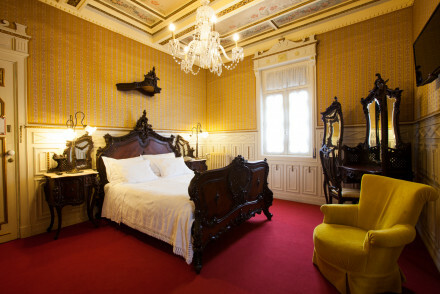 Porto is awash with magnificent art and architecture, and the Hotel Vidago Palace is an excellent example. The beautiful Art Nouveau buildings and pristine parklands are well worth the short hike into town. The Palacio Freixo, a baroque masterpiece built in the 18th century, is another. There are many restored public areas, so you can pretend you're living in a palace. But it's also got all the mod. cons.. Including an infinity pool overlooking the stunning Duoro. 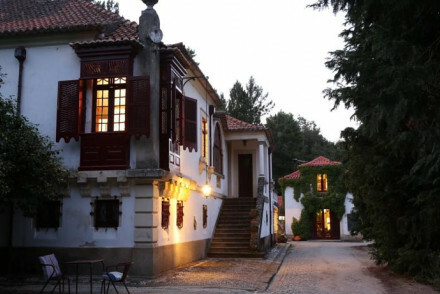 If you prefer to stay in B&Bs, the Castelo Santa Caterina is for you: a castle in its own gardens, set off the road and covered in fantastic Portuguese glazed tiles, this is a traditional spot, but close to a number of major attractions. Just outside historic Sagres on the unspoilt Western Algarve, the Martinhal Beach Resort is a luxurious resort village with plenty of space and plenty to do. There are five swimming pools, kids clubs for all ages and a fabulous spa located in its own private grounds. Quinta do Barranco da Estrada is an idyllic, 12 room, rural hideaway overlooking peaceful Santa Clara Lake. Canoeing and sailing are included in the price, plus you can walk, birdwatch, eat great food and generally chill out. Vila Vita Parc is a truly luxurious cliff top resort, with outstanding facilities for all the family. There's a kid's club for every age group, watersports galore, and a nine hole golf course to name but a few. There's also a private sandy beach, great spa and Michelin starred cuisine. Vivenda Miranda began life as the home of a 17th century noble family. It now offers tweny five bedrooms, a stunning pool and terrace with breathtaking views and direct access to the Porto de Mós beach, just outside Lagos. Reid's Palace is the perfect place for an easy family holiday. There's plenty to do on the grounds, including an indoor play space and outdoor playground, multiple pools and supervised activities - including tennis lessons. And they'll help you organise activities for the whole family to do together. 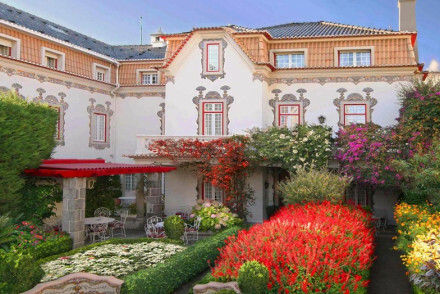 Quinta de Bela Vista offers a very family-friendly five star experience. There's beautiful grounds, a beautiful bay view, and plenty of facilities to keep everyone as busy as they want to be. Hotel da Vila's 15 rooms are bright and airy, but basic. It makes the grade here because its balcony rooms are great value - especially the views, the food is good and reasonably priced and you have access to the flashier sister hotel up the hill, the Estalagem da Ponta do Sol. Monte de Fornalha is perfect if you're looking for a rustic retreat. Set in amongst the vineyards, this whitewashed farmhouse has been tastefully and traditionally decorated. Its three rooms and three suites, as well as a peaceful pool and terrace, offer the perfect place to relax. 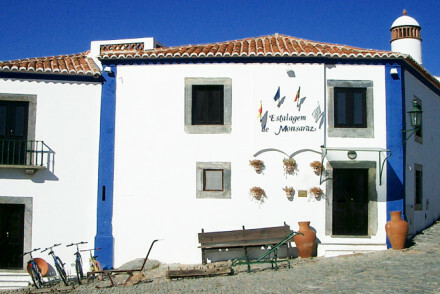 The Casa da Ermida de Santa Catarina is a top Hotel Guru choice. It's right on a beautiful lake in the spectacular Parque Natural de Serra de Sao, so a fair way off the beaten track, yet with plenty to keep you occupied, including wine tasting, nature and fabulous walking. Vhino verde accompanied by sardines and shellfish on the barbecue, Alentejo's cuisine is a pleasant surprise to many. Yes, it's rustic, and not fancy, but it's also fresh, local and original. Wine enthusiasts should book the Herdade da Malhadinha Nova. This restored farmhouse, and gourmet restaurant, is on a 450 hectare, family-owned wine estate. The ten rooms and suites are stylish and modern. Still not sure which is the best place to stay in Portugal for you? This family run country home is a short walk away from the picturesque town centre. Surrounded by gardens and an outdoor pool, the main house and cottages have red-tiled roofs, stone walls, hand painted tiles and antique furniture. A home made breakfast is served at the terrace everyday. Traditional Algarvian manor which has been tastefully converted to provide B&B accommodation plus cottages and an apartment for self catering. Set amid 6 hectares filled with olive, orange and carob trees. A quieter, truly relaxing spot from which to enjoy the pleasures of the real Algarve. 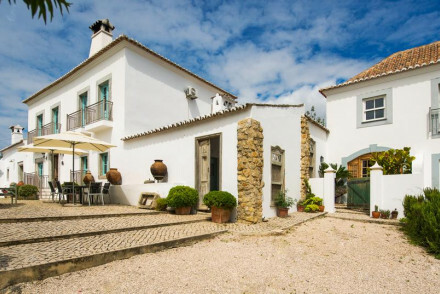 Full of character - Retaining original features giving a true taste of Algarvian style. 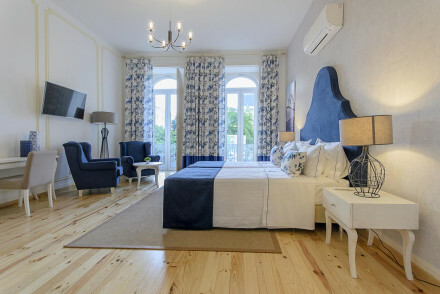 A four-star luxury guesthouse on Portimão's seafront. The best of the colour-themed rooms offer floor-to-ceiling windows, plush, four-poster beds and views over the port. Warm soft furnishings add a homely feel. Enjoy breakfast on the terrace before a dip in the pool. A pretty, relaxed guesthouse. 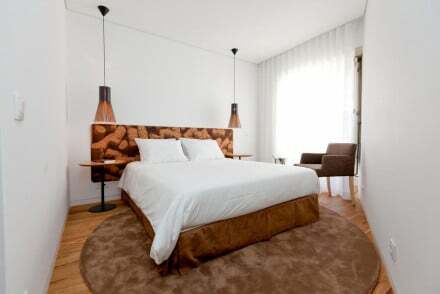 Charming traditional-style hotel in the historic centre of Lisbon. Old world charm, elegant sun-flooded rooms, and perfect chill-out terrace. Sit beside the fire with a book borrowed from the private library. A home from home with a warm and family-friendly atmosphere. Sights nearby - The hotel is just around the corner from Lisbon's National Monument, Santo António Church. Great walks - One metro stop will bring you to Parque Eduardo VII, the largest park in central Lisbon. Designer - Designer interiors by famed decorator Graca Viterbo. Charming and elegant, this townhouse hotel oozes quiet calm and comfort. Bedrooms are classically designed, with generous bathrooms, and there’s both a patio and rooftop terrace - the latter with stunning views. City Style - this aristocratic townhouse breaths artistic elegance with complimentary Port in the library and objets d’art at every turn. Writing a novel - Once the home of the Portuguese novelist Eça de Queirós, the hotel retains a refined literary air. Full of character - The decor honors the 18th C Palace style and creates a relaxed ambience. A rustic inn perched on a mountain ledge with stunning valley views. Charming rooms and suites have stone floors, wooden furnishings, and private balconies. Lovely terraces, swimming pool, gardens, and restaurant. Great for families or couples on a budget. A charming country house B&B with a communal kitchen, gardens, pool, and children's playground. Farmhouse chic bedrooms are excellent value and extra beds can be included. Within striking distance of beaches. A great choice for a budget family beach holiday. Great walks - The village of Odeceixe calls for a nice walk through the main square and narrow streets. Sights nearby - Aljezur is 15 minutes away with quite a few attractions. An historic mansion in a sleepy fishing village. Elegant rooms have chandeliers, silky fabrics, and sophisticated furnishings, some have private balconies. Charming inner courtyard and luscious gardens. Close to sailing, sightseeing, and wine tasting. Sailing - Bay of Cascais and Tagus river. A modern whitewashed villa set in simple, pretty gardens with a lovely indulgent pool. Inside, terracotta tiling and traditional wooden furniture create a friendly atmosphere while smart rooms are airy with polished concrete floors and unfussy modern furniture. A charming coastal bolthole. 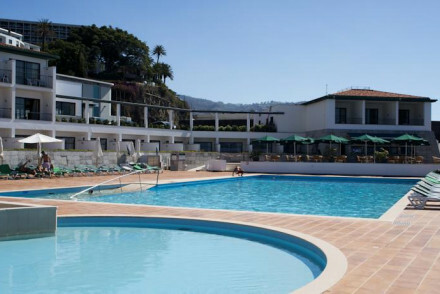 A large seaside hotel with simple and comfortable bedrooms overlooking the garden or out to sea. Two large swimming pools and a lively games room provide entertainment for all on site. Local restaurants nearby and water sports on offer at the beach. Minimalist beach chic on a cliff top with fabulous views, excellent spa and restaurant. All white rooms with private balconies, trendy open-air bar, infinity pool, and access to the hotel's yacht. Ideal for an active summer holiday with all the luxury indulgence to go with it. Other Activities - Summer parties on the terrace with international DJs. Views - Views out to see from the cliff top.